Ireland is getting its first ever Hyatt hotel, a 234-bedroom 'lifestyle' property developed by the Hodson Bay Group in Dublin's Liberties. Construction is currently underway on the €50 million Hyatt Centric Dublin, which will open opposite St. Patrick's Cathedral in May, 2019. Hyatt Centric is a lifestyle brand competing with the likes of Marriott's Renaissance and Intercontinental's Kimpton Hotels in "prime" city centre locations. 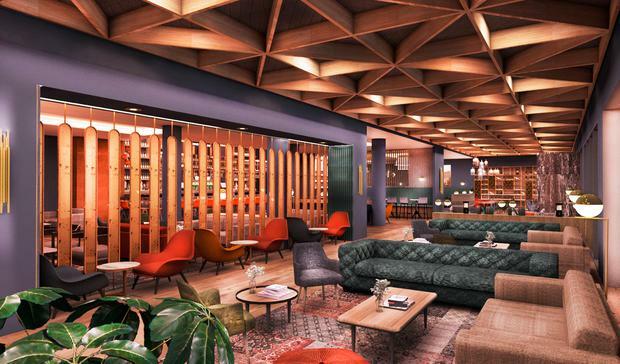 It targets "millennial-minded travelers who want to be in the middle of the action", with facilities ranging from locally-inspired food to salon-grade blow-dryers and lobby iPads offering neighbourhood tips and info. Hyatt Centric hotels operate in 20 cities, including New York, Madrid and Tokyo. Standard room rates at the Madrid hotel start from around €250 in June. The Chicago-based Hyatt Hotel Corporation officially announced its partnership with the Athlone-based Hodson Bay Group and its chairman, John O'Sullivan, today. The Group, which had assembled the one-acre site - incorporating 10 street-front properties - will manage the four-star property under franchise agreement. "We believe that this is the start of a very strong relationship for Hyatt in Ireland," said Jason Ballard, its Regional Vice President of Operations. "We look forward to bringing the Hyatt Hodson Bay Group partnership to the Liberties, and building strong relationships and bonds with local communities and businesses in the area," added John O'Sullivan. 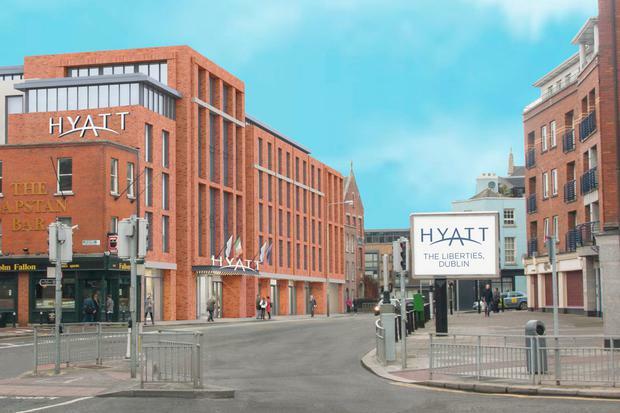 His Group, which also runs the Hodson Bay Hotel on Lough Ree and the Sheraton Athlone, as well as the Galway Bay Hotel, sees its Hyatt site as a "gateway" that will further enable the regeneration of the Dublin 8 area, O'Sullivan added. 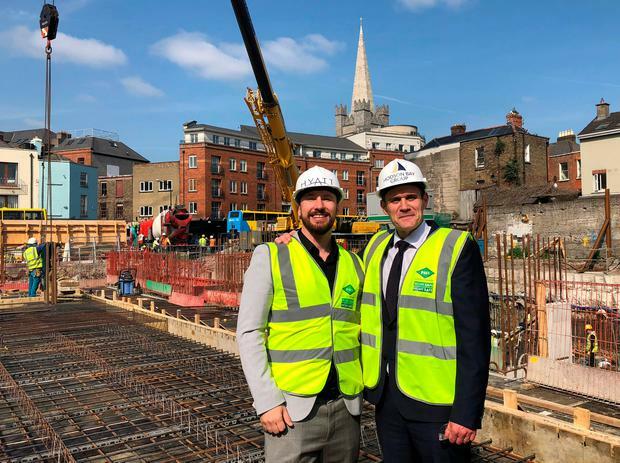 It comes as Irish tourism is on an upswing, with a 202-bed Marriott Aloft and a 138-bed Maldron Hotel set to open in the Liberties alone this year. Design on the Hyatt Centric Dublin is by MOLA Architecture, and the hotel is being built by John Paul Construction.